This class will examine the individual moments of storytelling in the Artist’s work to discover whether breath, body, thought and impulse are fully present. Through classical and contemporary speeches we will focus on how the Artist can discover, pare down, and articulate the story that they carry with them in performance. Through text work the Artists will learn to develop and hone the skills necessary to bring all aspects of their self to their performance. - Are all the elements of the Artists’ spirit present in their play and how can they be more fully integrated? - What are the stories we unconsciously carry with us and how could bringing those stories to our play invigorate our craft? - What effect does living and working in New York City have on the Artists’ mindset? - What new customs can we create to help us become a more integrated Artist in our play, movement and text? - What would it mean to apply the Artist’s mindset to life in all its aspects? Don't Miss Out on this exciting opportunity! $425 A non-refundable payment is due on the first day of class. Space is limited so reserve your place today. For those with limited resources it may be possible to set up payment plans. 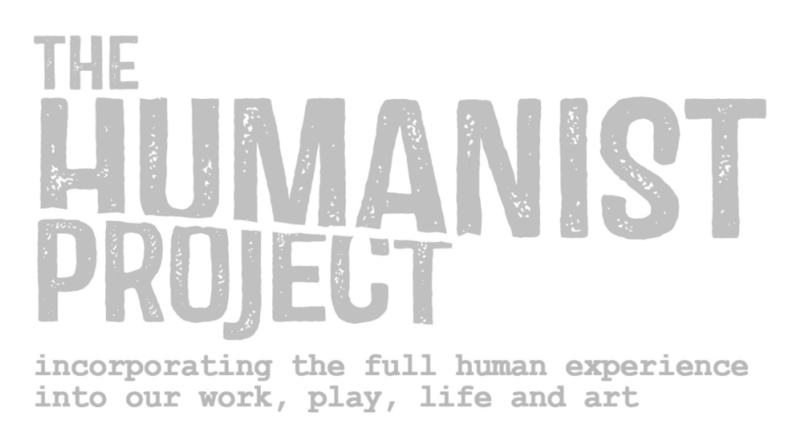 Contact Amanda Roberts at Thehumanistproject@gmail.com for more information. Andrew Borthwick-Leslie is a member of Shakespeare & Co. in Lenox, MA where he has taught, directed and acted for twenty years. He has taught acting and voice at the University of Pennsylvania, Temple University, Emerson College, DeSales University and the University of Maryland among others. Andrew has run workshops for the Center for Renaissance Studies, the American Bar Association, the New England Homeless Veterans shelter and many more. He has directed, devised, or assisted on over fifty productions -from Cymbeline to Perestroika. Most recently he directed Double Falsehood for Letter of Marque Theatre Company at Iron Dale and Merchant of Venice for the Shakespeare Forum. He lives happily Brooklyn. Michael F. Toomey has been a member of the nationally acclaimed Shakespeare & Company in Lenox, MA since 1998, where he is an actor, director, and faculty member. He is a founding member and trustee of Split Knuckle Theatre, which devises new works of theatre and is currently touring throughout the world with recent performances in Bangkok, Athens and Paris. For the last three years Michael has been a Visiting Assistant Professor at Binghamton University teaching Clown, Shakespeare and Fight. Michael teaches workshops for professional actors in Fight, Clown and Shakespeare around the country and abroad. He has directed, devised or choreographed numerous shows including Julius Caesar and Alice In Wonderland and has performed throughout the East coast and internationally including roles such as Macbeth, Scapin, and Polonius. He is a graduate from LISPA (London International School of Performing Arts) and holds an MFA in Lecoq-based actor created theatre from Naropa University. 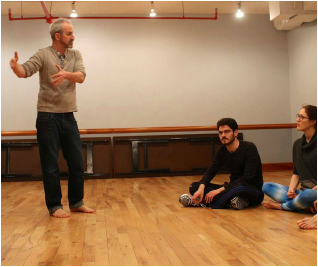 A 3 day weekend workshop in Clown with Michael F. Toomey. We are all born funny. We come into the world with something unique, something off-balance. It's what drives your loved ones mad or makes them fall in love with you. It is the most intimate part of ourselves, it is why we get back up when we fall down. It's what makes us most Human, it's what makes us poetic. Physically, Emotionally, Spiritually..... Ecumenically. The question is not "do we each have a clown?" or "can you find your clown?" The question is how much of yourself are you willing to reveal today--and celebrate in a very public way? Throughout history, the Clown has played a vital role in our communities. Cross-culturally, the Clown has been looked to in order to reveal what is most human about us all and asks us to laugh about it. Over these 3 days, actors will explore what is most human about themselves--revealing it and celebrate it publicly. This is a class in Clowning, an exploration of the Red Nose, Play, Complicity and how each of these are vital to the actor's training. Being funny is not a requirement. Don't Miss Out on this exciting new opportunity! A non-refundable payment is due on the first day of class. Michael F. Toomey has been a member of the nationally acclaimed Shakespeare & Company in Lenox, MA since 1998, where he is an actor, director, and faculty member. He is a founding member and trustee of Split Knuckle Theatre, which devises new works of theatre and is currently touring throughout the world with recent performances in Bangkok, Athens and Paris. Michael has been a Visiting Assistant Professor at Binghamton University teaching Clown, Shakespeare and Fight. 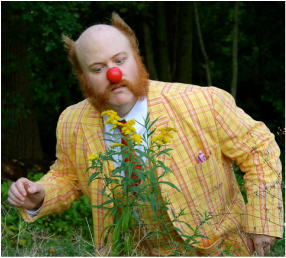 Michael teaches workshops for professional actors in Fight, Clown and Shakespeare around the country and abroad. He has directed, devised or choreographed numerous shows including Julius Caesar and Alice In Wonderland and has performed throughout the East coast and internationally including roles such as Macbeth, Scapin, and Polonius. He is a graduate from LISPA (London International School of Performing Arts) and holds an MFA in Lecoq-based actor created theatre from Naropa University.